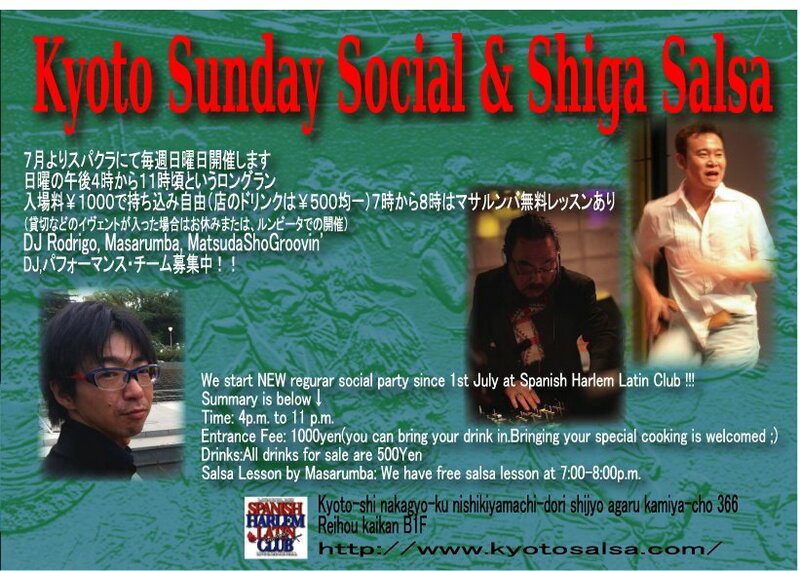 7/1.Sun I dj Latin music @Spanish Harlem Lain Club in Kyoto,Japan. I dj latin music especially SALSA. at Spanish Harlem Latin Club in Kyoto,Japan. We start NEW regurar social party since 1st July at Spanish Harlem Latin Club !!! Time: 4p.m. to 11 p.m.
Salsa Lesson:We have free salsa lesson at 7:00-8:00p.m.